I realize NaNoWriMo is well underway, but I always have students (and adults) ask me for writing advice. But I also thought it might be useful to collect my various in print musings on this question here. So.... here are some articles, interviews, etc. in which I've tried to offer some advice. My friend (the awesome Debbie Ridpath Ohi) asked me to answer 3 questions for her BLOG. One of those questions was "advice for young writers". 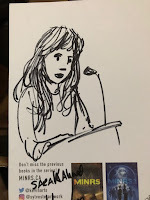 I met Bridget (from Bridget and the Books) at Nerd Camp and we chatted about writing. 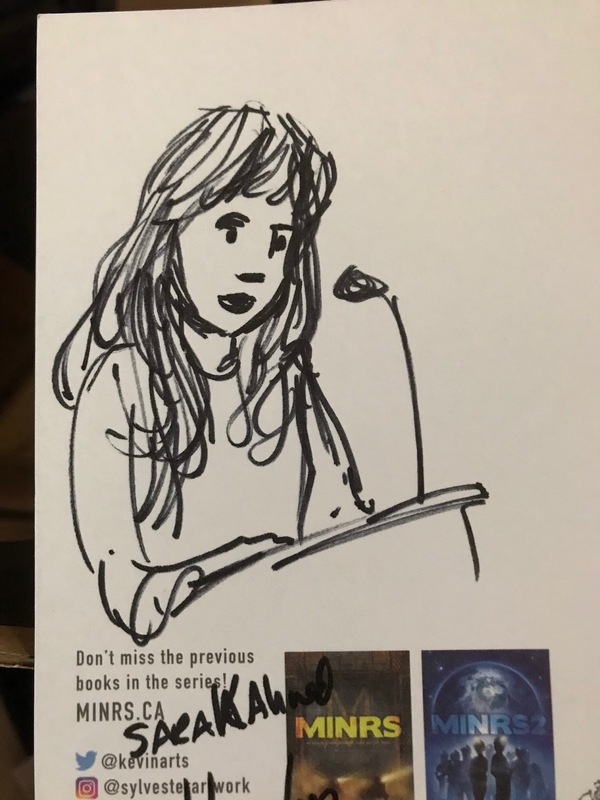 Open Book Toronto asked me to answer 10 questions about my writing. This was a while back but I still stand by everything I said. The National Post asked me to edit their Afterword section. I included this tidbit of advice... TAKE A BREAK. KINDER LIT asked me to take a Proust Questionnaire. A few years back I was a judge on the Seepe Walters contest and made this VIDEO with some advice. A few years back, I was asked to do a Neil Flambé comic for charity. I did one based on The Chef manga which opens Neil #4. It was never published. So, in lieu of a NF #7 (which may never happen) I present THE CHEF!!!! 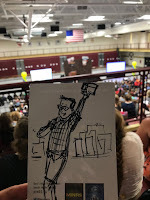 This was my fist ever NerdCampMI. My friend - the awesome Debbie Ridpath Ohi - has been going almost since the beginning and has praised the meet-up. This year, I finally made it. And... wow, was she right. These are strange days in education. I've written on this blog before how saddened I am by the loss of libraries in schools. Well, this was gathering of people who are dealing with that (and more) first hand and are fighting against the trend. Colby Sharp and Donalyn Miller are two founders of this whole thing and welcomed everyone by talking about how crucial books and stories are for giving kids the skills they need. Donalyn even suggested cancelling fines for kids who return books late as a way to level the playing field. Chad C Everett gave a speech saying that the times for some books for some kids are over. All kids need to have access to stories in today's revolutionary times. 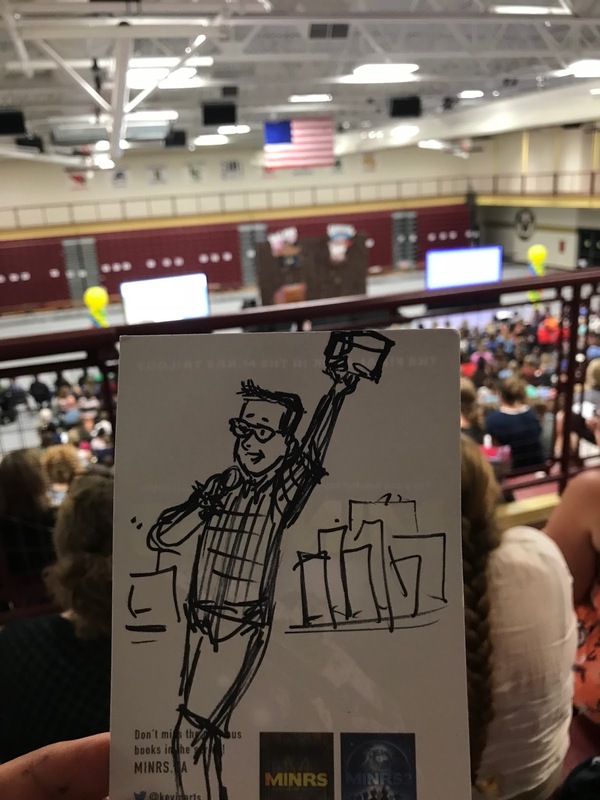 It was a call to action across all the boundaries that separate us in schools and in the world of kids lit. talked about being a hyphenated American and what that means in today's world. Look out for each other. Tells your stories and listen to other people's stories, not just the ones you already know. Then we broke into the day1 sessions. If I have one criticism it's that there are TOO many interesting sessions. I gave one on using humour to trick kids into learning. But I also snuck peeks at others, including Arree Chung talking about his beautiful (and wickedly clever) new book Mixed. Then it was an hour of book love from Mr. Schu. When he gives out books he loves to a hepped-up crowd it's like watching The Price is Right. Maybe the Print is Right? And then it was one of my heroes Dav Pilkey, who closed out day1. I've had a chance to meet him a couple of times and he as down-to-earth and nice a guy as you can ever hope to meet. He also writes great books. All the speakers hit the note that we seem to miss in so much "high-level" education chatter about standardized tests and quality metrics - that each individual kid has individual needs and talents. And books are one of the best ways to get those kids to find their own path to knowledge and curiosity. And, yes, there is a lot of talk here of "fighting" and "revolution"and the people at NerdCamp did come to the event to arm themselves - with skills, strategies, ideas - to fight. BUT not to fight against anything but for every single kid in their classrooms or libraries or (from an authors perspective) their readership. And this is all done by Volunteers. VOLUNTEERS. Using their summer vacation to gather and share info on the best way to get kids to read, to learn to think. The theme of "fighting" continued in informal discussions with educators about the battles they are having to keep books for "different" kids in their libraries and schools. But they are not giving up. And we authors need to keep writing those books and keep visiting and supporting those schools. So, I'll be up front. 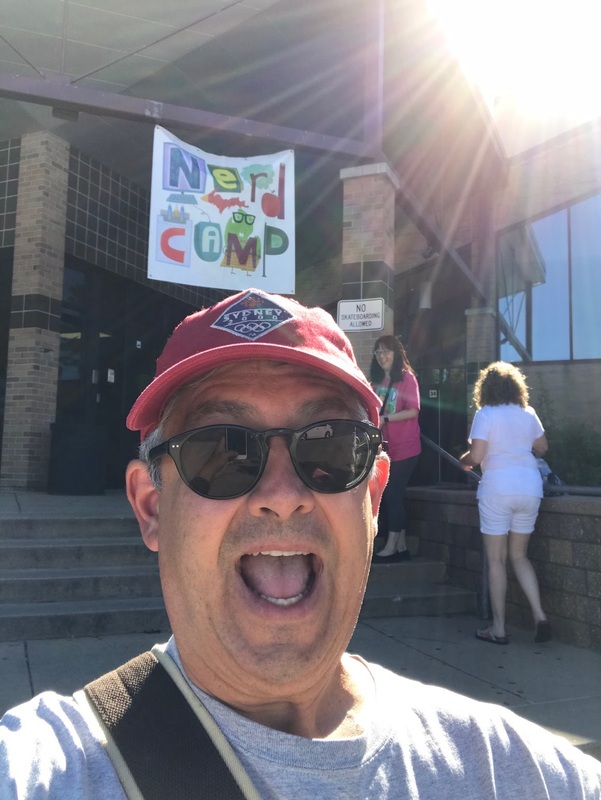 I went into this NerdCamp experience slightly depressed about the state of the world, and also very cynical about talking about education. Every single person I met there helped me feel better. One teacher I spoke with the first night said she feels like she's coming home to her family the second she arrives at Nerd Camp. I get that 100%. And meeting all these people inspired me. This is where the battle for a better world will be fought and eventually won. It's the long game. And I'm in. Like many city dwellers (Toronto being my hometown) I am saddened but not surprised at the rise in pedestrian and cycling deaths on our streets. Everyone is in a hurry and walking, cycling and driving in a silo. As a cyclist, walker and occasional driver it's intersections and crosswalks that are the main areas of conflict (no kidding - just check out this story from The Toronto Star). So, as an experiment I've been trying to (A) brake when a light turns yellow - in a car and on my bike (B) stop crossing by foot when the "don't walk" countdown starts and (C) coming to a complete stop at stop signs on my bike. It's like my heart rate is now slower. I'm less angry and frustrated. This has been in my head a while, but I didn't think to make a graphic about it until now. The idea popped into my head a few years ago. 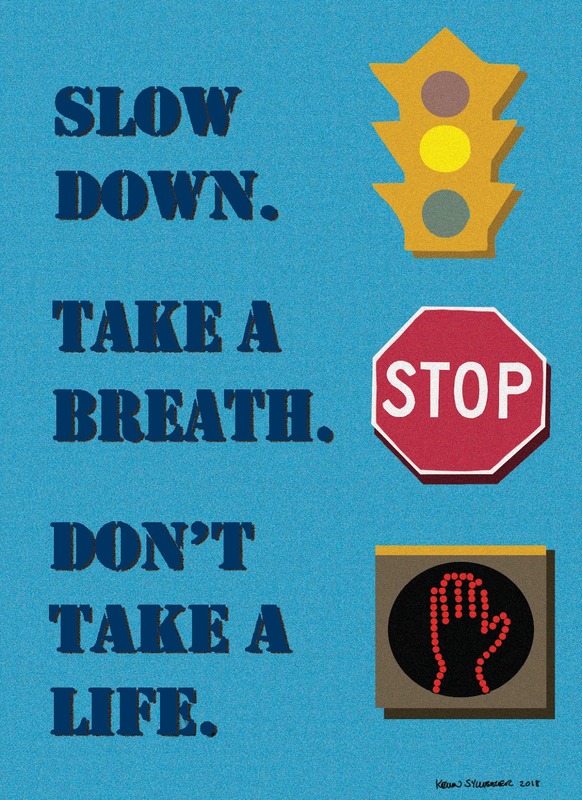 I was sitting with my friend Peter (after a death-defying bike ride to his house) and he mentioned an ad campaign from Australia called "Dead Right" which stressed that you might legally be in the right crossing a crosswalk, but a car can still kill you if you aren't paying attention. Can't find the details on that campaign BUT I did find this weird and wonderful safety video from an Australian rail company called "Dumb Ways to Die"). I always try to use the Acknowledgements sections of my books to tell something about the world of the book - rather than just listing the (many) awesome people who make a book happen. I also want to make it something that someone will actually want to read. 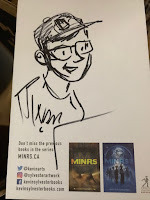 So, given what's going on in the world these days (I've signed this petition for example) I thought I'd post my thoughts on what the conflict in the MINRs trilogy is about. That way you don't even need to buy the book! First of all, a thanks to the types of people who read dedications. I always try to make this bit of the book a little different, and thanks for paying attention to the details. To be one hundred percent honest, I never thought this book would happen. You can check out the old posts on my blog if you want the full story, but the bottom line is that I owe a gigantic THANKS to you—the readers who fought to have this book written and published. 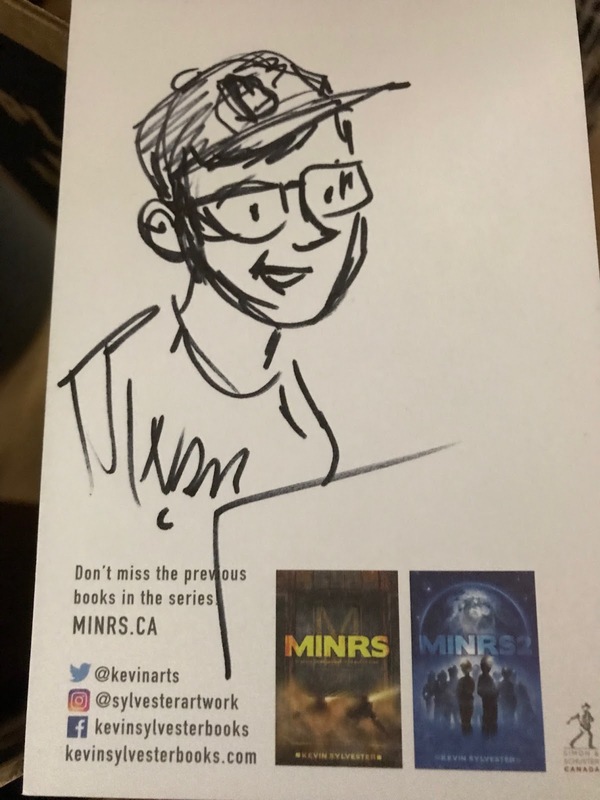 You helped spread the word about MiNRs, and that, in the end, is the only way a story can spread. Fighting for what you believe in is never easy. It can drain you. It can demoralize you. But you did it, which means the world to me. And maybe more so for MiNRs than it would for any of my other books. MiNRs is many things, but above all it’s a story of fighting, even when we don’t want to. But we always need to fight for the things we believe in, the people we love. Or else someone else will fight to take them away . . . and we’ll let them. For Chris, Elena, and Fatima, that fight is with weapons. They don’t choose this or want it, but they accept it. It’s a fight no child should ever face. But real children are forced to fight in our world today. For the MiNRs, what separates them from others aren’t the rules of their fight but the way they choose to face it. They choose love, family, and mercy over cruelty, violence, and hate. There’s no fairy-book magic to this—they lose a lot along the way—but they don’t sink to the level of Thatcher. Not all fights are violent, or even battles in the traditional sense. In fact, for me, the toughest ones happen in your head and are fought with words and ideas. There’s an exchange in this book where the kids talk about scapegoating. Fatima argues it’s worse than violence. 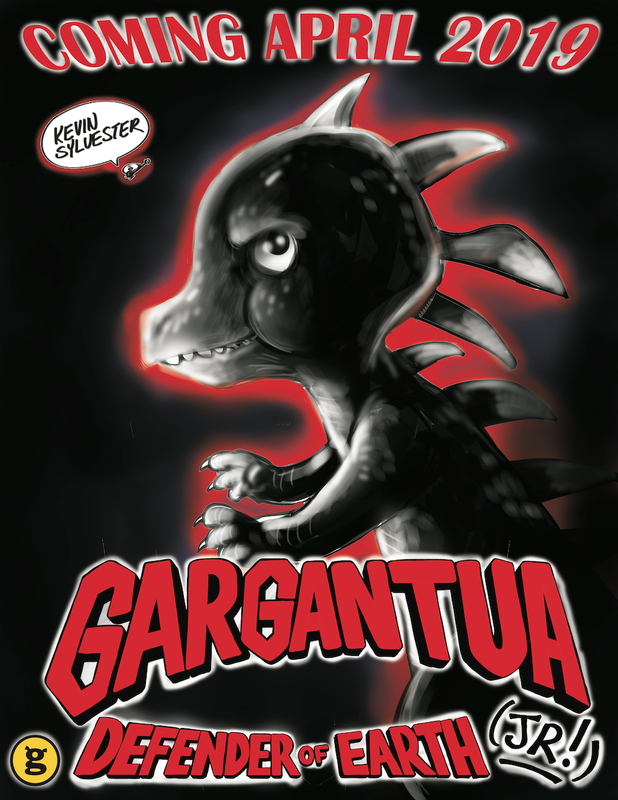 And my editor (the awesome Patricia Ocampo on this book) and I had a back-and-forth about this. Because, for me, the scapegoating is worse. It’s foundational to any violence that happens later. Attacking someone we see as the same as us? That’s horrible! We recoil in shock. Try saying “we deserve it.” Now try saying “they deserve it.” Which is easier? And it’s so insidious. It doesn’t actually begin with hate. It begins with searches for simple answers. The world is complicated, and that can be a really hard truth to recognize. And it makes it really hard to figure out what you need to do to make good choices. So we pretend that isn’t the way the world works. It’s easier to see the world as simple. It starts when we blame them for their problems. It’s their fault they are poor, they don’t work hard enough. It’s their fault they are violent, because that’s what they are like. So much easier than saying, “Wow, the world is complicated, and some people are poor and violent for all sorts of reasons. Maybe the two are even related and poverty breeds the sorts of desperation that leads to some types of violence.” And that’s just the tip of the complexity iceberg, as they say. And once you accept that simple worldview of them vs. us, the rest can devolve quickly. They don’t just cause their problems, they cause ours. They are opposed to what we stand for and are a threat to our way of life. This type of prejudice is what Thatcher exploits to turn people against grinders, and toward him. And above all, love is love. That’s what breaks the cycle—loving others. Loving them and not judging them. It’s easy to hold on to hate. Fatima—a member of a “they”—doesn’t. Hate might win sometimes, but it makes the world a worse place. Love might lose, but it still makes the world a better place. It’s tougher to actually promote love. You need to fight to push yourself, and push others, to do just that. I was cleaning up some files on my computer today when I found this letter to the editor (of the Toronto Star) from 2011. It was in response to a school board dropping school libraries, and the Star's coverage of the story. I thought I'd post it verbatim because public and school libraries are about to be attacked again in this province (Ontario), as they are around North America. As someone who writes for children and visits about forty or so schools in the GTA each year I was (as you can imagine) alarmed at the story about the Windsor-Essex school board’s decision to drop its libraries. Yes, the library should be the heart of a school. It should be a place where children go for information, for relaxation and for support. 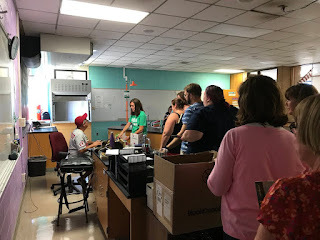 Librarians are the original search engines, and can still do something Google Chrome can’t… they can enter a discussion with the students about why they are looking for something in particular. Would you rather have a human being or an algorithm helping you child write that essay on Leonardo da Vinci? Some of the suppositions of the people making these decisions have me really worried, because they seem to make sense. There’s an assumption on behalf of the school board, and of many people, that the book is a fading bit of nostalgia (a term used by at least one educator in the Star). Computers are replacing books as the source of literacy, the thinking goes. As a writer, I can tell you that I don’t miss the manual typewriter and I own an iPad and a Kobo. But the computer is just part of an education puzzle. I’d like to point to the recent Forest of Reading celebration which was held this week down at Harbourfront. More than 8,000 school children packed the site to celebrate their favourite authors. These are children who have been raised to be computer literate from childbirth – children who have easy access to video games, laptops, cell-phones. This is an event coordinated, supported and celebrated by school librarians. The students qualified for the event by reading most of the nominated books. These are not all high-achievers but a real cross-section of the school system. And there were many kids in that crowd who would fall by the wayside without the encouragement and guidance of the school librarian. Besides, who says the computer can’t find its way next to the books in a well structured and well-SUPPORTED school library? 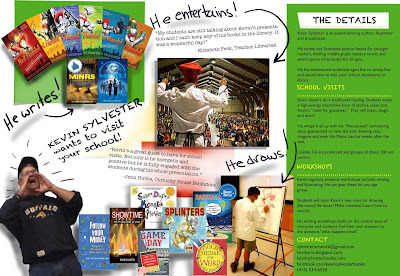 I just returned from the TD Book Week tour of Quebec. While there, I visited a number of loaded private schools. One thing they all had in common, whether they were all-boys or all-girls… each had a full-time librarian (or two!) They had iMacs set up at comfortable desks, comfortable seating areas for the younger students. Yes, they have the money to make that choice. Maybe the question is, why doesn’t everybody? I'm an illustrator, writer and broadcaster based in Toronto. I write lots of novel. Mucus Mayhem is part of a series called The Almost Epic Squad. 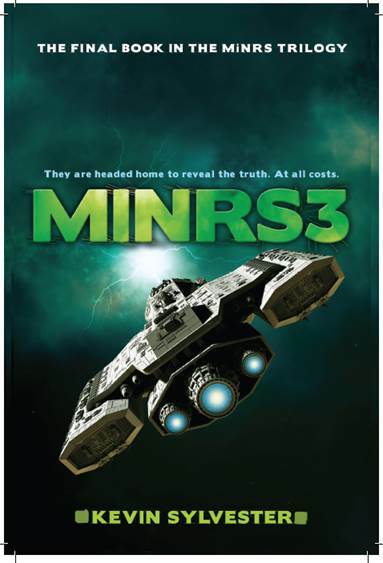 The MINRS trilogy is a space adventure story. My other series, The Neil Flambé capers has 6 books. Neil Flambé and the Duel in the Desert the latest. Neil Flambe and the Marco Polo Murders won the 2011 Silver Birch award for Fiction. 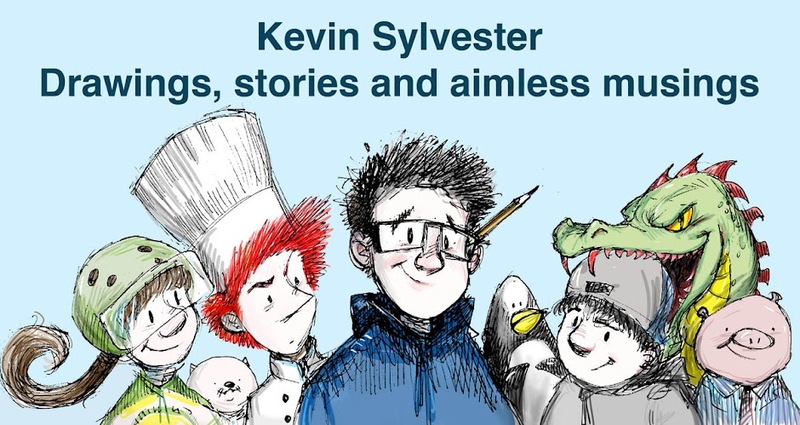 I also write and illustrate picture books. Gargantua Jr: Defender of Earth is out in 2019 I also have Super Duper Monster Viewer and Splinters. I illustrated GREAT, a book with the Wayne Gretzky Foundation. I also do lots of non-fiction. Follow Your Stuff, Follow Your Money, Basketballogy, Baseballogy, Game Day and more. I've also been a broadcaster with CBC Radio in Canada for years and years (although I'm originally from Western New York... GO SABRES AND GO BILLS!) Take a look at some of the work I've done for clients and myself. Feel free to contact me with any questions or comments. Just type in… sylvesterartwork at gmail dot com. The Neil Flambé Capers are wowing the critics! Three other books due out in Fall 2010. Splinters (Tundra). Cindy Winters wants to play hockey. The Blister Sisters won't let her. Can her fairy goaltender help save the day? Game Day (Annick). Who are the people behind the scenes who make sporting events work? I interview everyone from the Famous Chicken to Nicole Sherry, the head groundskeeper at Camden Yards. Don't Touch that Toad! (Kids Can). I've done the illustrations for a book of true and false (and definitely weird) stories that parents tell their kids.